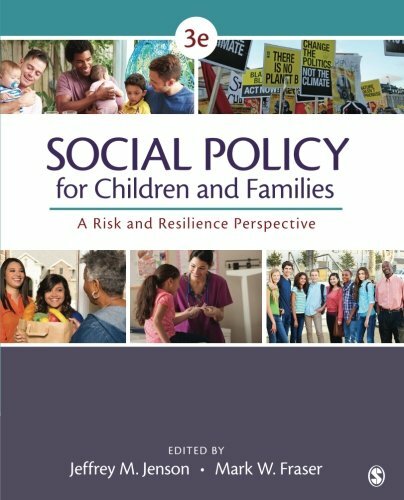 The Third Edition of Jeffrey M. Jenson and Mark W. Fraser’s award-winning text, Social Policy for Children and Families, offers new evidence that a public health framework based on ecological theory and principles of risk, protection, and resilience is essential for the successful design and implementation of social policy. Written in a conversational, reader-friendly style and incorporating cutting-edge research, this carefully crafted book maps a pathway for developing resilience-based social policies. In every chapter, experts in their respective fields apply the editors’ conceptual model across the substantive domains of child and family poverty, child welfare, education, mental health, health, developmental disabilities, substance use, and juvenile justice. Recipient of the Best Edited Book Award from the Society for Research on Adolescence in 2008, the book is an ideal core text for graduate and upper level undergraduate courses and a vital resource for elected officials, policy makers, and others interested in the evolution of policies aimed at preventing problem behaviors and supporting children and families.